ALL FEES INCLUDED IN QUOTED RATES! The beach, the golf, the old city - the magnificance of it all! Kids and kids at heart will enjoy the expansive beach! Unit 4207 is a nicely appointed 2 bedroom, 2 bath 2nd floor condo with recent renovations including new stove. Ceiling fans throughout! 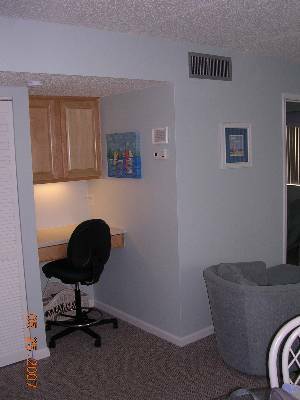 This building has a courtyard with it's own jacuzzi, is directly across from the heated pool, and just a short stroll to the beach. 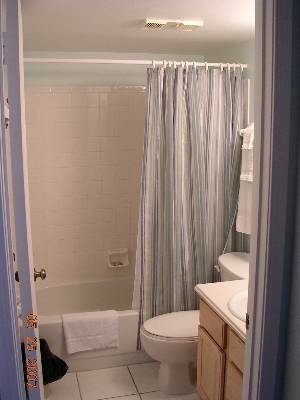 All linens and towels are supplied and the full kitchen will meet all of your cooking needs. 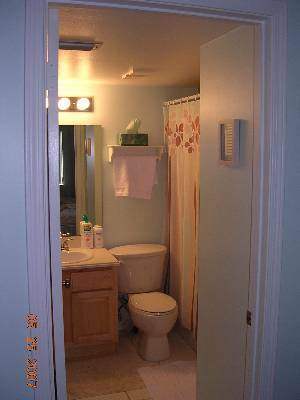 Other amenities include cable TV, three TV's, 2 VCR's, a DVD player, washer/dryer and local phone. 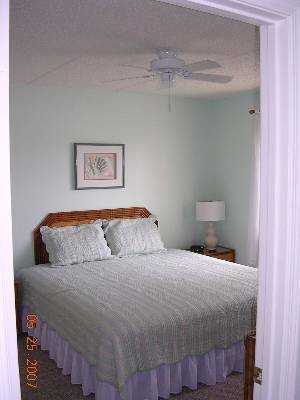 The master bedroom features a king bed, the guest bedroom has two twins, and with the queen sleep sofa the unit will accomodate up to 6 people. This attractive beachfront complex includes two pools (one heated), four tennis courts, racquetball courts, and covered grill area. 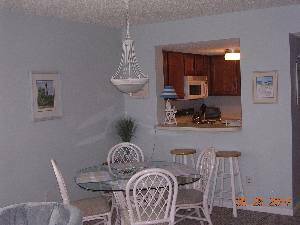 You will be just minutes away from the oldest city in the USA with its abundant history, Marineland, Fort Matanzas, the Lighthouse, Ripley's, Alligator Farm, and scores of wonderful resaurants and shopping spots. Golfer's Paradise. World Golf Village is a short drive away, along with an extensive outlet mall. Marineland is a short drive South down scenic A1A. Walk, bike and run for miles on this broad beach. Plenty of room even at high tide! Stetch Out on the King Bed! Catch the news on your own TV. A wonderful home away from home! My family stayed for two weeks last summer and we were sad to leave. The condo is well equipped and clean. 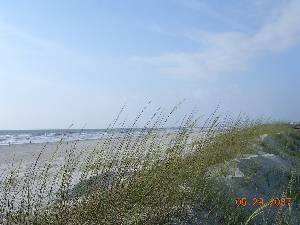 The best part was the wonderful location on beautiful Saint Augustine beach. We will definitely be back! Note: A surcharge of $19.95 now applies to payments by credit card. Quoted Rates include security, parking pass, cleaning, and 10% Florida room tax. 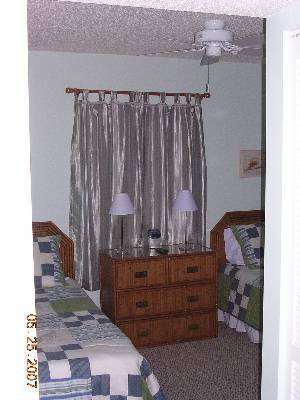 Weekly rates are for 5-7 nights- Fall, Winter, Spring Fall - Add additional nights to the weekly rate for just $100. 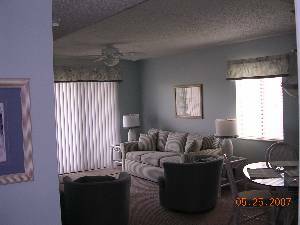 Spring - Add additional nights to the weekly rate for just $120. Deposit: Credit card is required to make a reservation.